We love our companion animals! We share our homes with 165 million dogs and cats, and we spend billions of dollars each year for their care. Most of us consider our companion animals to be family members. We talk to them, we include them in holiday celebrations and we take time off work to care for them when they're sick. When it's time to say farewell to them, we grieve deeply. We donate billions of dollars each year to charities and organizations which promise to help animals in need. We trust that shelters funded by our tax dollars and donations will give homeless animals that second chance. We often hold our values regarding companion animals above the values of many other cultures. There is, however, a complicated side to our relationship with companion animals. As much as we love animals, we don't always do what's best for them. Some of us simply don't know about the serious issues related to how we treat companion animals; many of us who do know feel powerless to do anything. We ask ourselves, "but what can I do as just one person?" You can do something. You can be a force for change. Please join us in educating others on the importance and benefits of becoming a No Kill community that not only welcomes but protects and embraces our companion animals, man’s best friend! 1. Arm yourself with knowledge about the No Kill movement. Learn more about the No Kill philosophy by downloading this free quick guide courtesy of the No Kill Advocacy Center. http://www.nokilladvocacycenter.org/pdf/redemptioncliffnotes.pdf Share with family members, friends and colleagues! 2. Save a life, ADOPT! 3. Support your local animal shelter/rescue; volunteer, foster, donate wish list materials, transport an animal. 4. 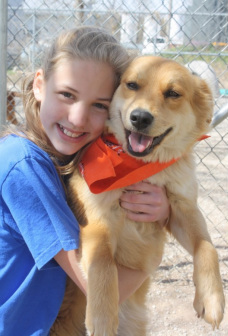 The most important component to the No Kill model of sheltering is a compassionate Leader. Share your support for a No Kill community with the Central Missouri Humane Society board of directors. 5. Contact your local government officials and share your support for a No Kill Columbia. 6. No Kill Columbia is looking for volunteers to help us expand our life-saving efforts. If you love animals and would like a more active role in raising awareness and educating about No Kill Columbia and the Spay Neuter Project, we would like to hear from you! Please Contact Us above. 8. NKC is a 501c3, volunteer driven, non- profit organization. 100% of donations we receive go directly to the animals in the form adoption events, promotions, education, and our newest venture to raise funds for a high volume, low cost, self sustaining spay neuter clinic that will serve Columbia and Mid MO, the Spay Neuter Project.